Keeping a senior’s brain stimulated is especially important in the early stages of Alzheimer’s disease because there may be a greater chance of slowing its progression. Taking on a simple hobby may be an effective way for your elderly loved one to stave off cognitive decline. Guelph senior care experts suggest seniors with Alzheimer’s should participate in mentally stimulating activities they enjoy, and here are just a few your loved one may benefit from. Just like exercise strengthens muscles, crossword puzzles, other types of word puzzles, and jigsaw puzzles strengthen the brain. Research has shown Alzheimer’s disease causes the brain to deteriorate over time, but doing puzzles each day, either alone or with the family, can help increase your loved one’s cognitive function. Set up a puzzle on the table and encourage family members to work on it with your loved one during visits. Reading also strengthens the brain and boosts cognition. Researchers have found reading helps stimulate the gray matter in the brain. When this part of the brain isn’t stimulated, seniors may lose it, making regular reading an important part of Alzheimer’s care in Guelph. Encourage your loved one to read every day. Studies have shown seniors who socialize are also able to slow the progression of Alzheimer’s disease. A book club is a perfect way for your loved one to read and socialize with others. Chess is a simple game to learn, but the thousands of different ways to play make it a great way to stimulate the brain. A study by the National Institute on Aging found playing chess created a “cognitive reserve” in study participants, which helps the brain function even when Alzheimer’s has disrupted it. Playing chess regularly with friends or family members can help your loved one preserve his or her memory. Also known as horticultural therapy, gardening exercises both the body and the mind. A study published in Psychiatry Investigation found seniors with Alzheimer’s disease who were able to garden regularly increased their attention span and memory and had fewer bouts of stress and agitation. Gardening helps stimulate all of the senses, promotes exercise, and gets seniors outdoors in a change of scenery. Researchers believe the combination of these three benefits helps alleviate the symptoms of the disease. 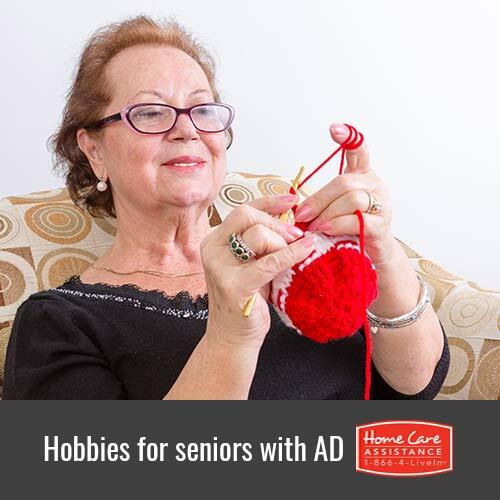 Hobbies are a great way to keep your loved one mentally engaged, but having a companion to interact with during such activities may be even more beneficial. If your loved one needs help with regular mental stimulation, reach out to Home Care Assistance. Using our revolutionary Cognitive Therapeutics Method, an Alzheimer’s or dementia caregiver in Guelph can help your loved one participate in mentally stimulating activities designed to stave off cognitive decline. 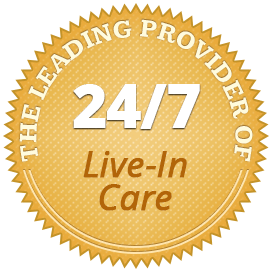 For more information on CTM and our other senior care services, call one of our knowledgeable Care Managers at (519) 954-2111 to schedule a no-obligation consultation.